ASHU LAW FIRM : We deal with clients comprising Individuals and Corporates, We give Preferences to professional approach, commitment and appreciated our timely services in dealing the cases. *AREAS OF PRACTICE* : *CIVIL LAW :* We handle Civil Litigation particularly Money Recovery Cases, Property related disputes such as Partition Suit, Title disputes, disputes concerning Encroachments, Verification of Property Documents, Injunction Suits, Tort Claims, Breach of Contract, Tenancy disputes and Real Estate & Property Development Matter's and WILL. *FAMILY LAW :* We handle Family related cases such as Adoption, *Divorce*, Alimony : (temporary & permanent), Domestic Violence Cases (P.W.D.V.A) and 498-a cases, Child Custody case, * _Family Cases_ are very sensitive and challenging cases which requires to be dealt diligently as these cases involve life of the warring parties and if you *Need privacy for Women's* : We have LADY Advocates & MUSLIM LADY Advocates for *Hijaab* to understand your concerns and help you with Legal expertise in solving Family disputes successfully., * *We also provide family counselling to parties. 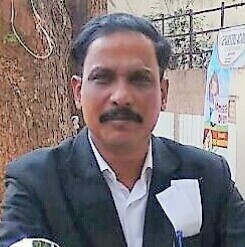 * *CRIMIAL LAW :* Team of highly experienced Senior ADVOCATES, ( _practising more than a decade_ ) for handling criminal cases, In the last Many years We have handled very Familiar cases, and cases related to Murder, White Collar Offence (420 cases), IT cases & Cyber Crimes etc., Money Laundering, Sarfasi & DRT, Banking & Credit cards Case's and CHEQUE BOUNCE CASES. *COMPANY LAW :* We deal with All Types of Matters of Corporates, COMPANY LAW, Labour Law, Societies, Trust & Start-ups in Hyderabad. We also deal in winding up of company. *CYBER LAW : Our PRACTICE is in Cyber Fraud, CYBER Crimes, Internet Law & E-COMMERCE.